Your complexion probably suffers the most and shows it the best when it comes to winter. Awesome. But there are solutions! Your skin neither has to look nor feel as dull as the February skies. The trick is to stock your vanity with gentler alternatives — these picks are the most effective, deserving products that truly deliver perfect winter skin. A good scrub feels great and reveals a fresh, renewed complexion, but delicate winter skin doesn’t play nice with grainy, harsh exfoliators. Josie Maran answered our winter whipped skin’s prayers and graced us with our new favourite exfoliator in a genius powder formula. When poured into wet palms, this magic potion turns into a luxuriously creamy paste that can be used to polish skin and lips. Created with crushed Argan shells and rice powder, this scrub is gentle yet super effective and feels absolutely amazing to use. Throw in the fact it packs a potent natural punch of antioxidants and skin soothing and clearing ingredients and we may never switch back, even in the heat of July. Just because it’s winter and your skin is dry, it doesn’t mean it’s is immune to acne and breakouts (wouldn’t that be swell?). Benzoyl Peroxide, one of the most common ingredients in acne treatments, can prove to be a little too harsh in the already bitter conditions and cause a too-dry, flaky face. 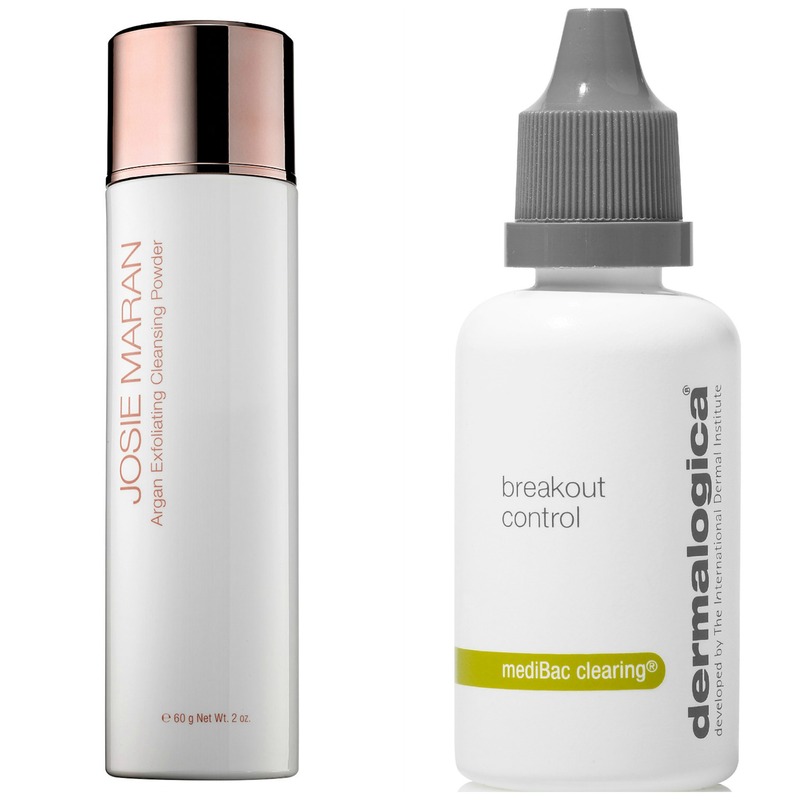 Enter Dermalogica’s Breakout Control, which is formulated without a trace of Benzoyl Peroxide, and is the very best thing to happen to congested skin, since, well, ever. This super lightweight antimicrobial cream decongests, regulates sebum production, soothes inflammation, prevents early stage blemishes from becoming infected (read: full blown zits) and absorbs oiliness to prevent further breakouts. Phew. If that doesn’t sound like enough, this little bottle of miracle potion actually smells pleasant, has the texture of a light moisturizer, blends into the skin invisibly and at lightening speed and can be used as a spot treatment or on the entire face. Non-irritating and non-drying, this stuff is your ance-prone winter skin’s BFF. *Editor’s note: there are few products we make room on our vanity space for: this real estate is in hot demand! Dermalogica’s Breakout Control has earned it’s stay, though, as our skin has never looked more clear, even during the dreaded days leading up to the crimson tide. We can’t stress enough how great this stuff is, and it’s truly a pleasure to dab on anywhere or slather on all over. Don’t you just love a product that does all the work for you? this masque is the perfect example of that; with its gel-like texture and no-rinse application, all you have to do is massage in anything your skin hasn’t already drank up 10 minutes after smoothing it on. Ideal for all skin types (and believe us, any Canadian girl worth her maple syrup can attest), this highly concentrated masque instantly infuses dehydrated and stressed skin with optimal amounts of hyaluronic acid and vitamin B5 to replenish depleted moisture levels. Also improving skin’s tissue repair function, skin is left supple, smooth, hydrated and ready to take on another freezing day. 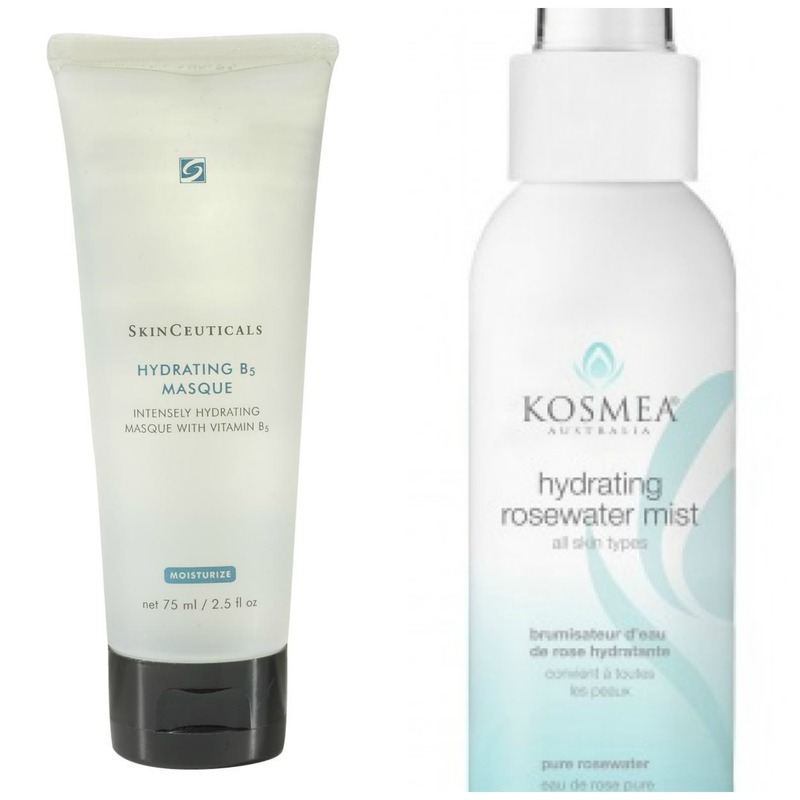 Sometimes your skin just needs a little pick me up midday, and spritzing on Kosmea’s Hydrating Rosewater Mist refreshes, hydrates, soothes and tones the skin, leaving it fresh feeling (and looking!). Made from a thousand delicately distilled rose petals, this gorgeously scented mist is the perfect winter skin boost. Precious skin needs special attention, and it’s important to use the right stuff in all the right places. For extra sensitive skin — think extra dry patches or post-wax — nothing soothes and hydrates better than Australia’s own Dr. Roebuck’s Bubs & Bits cream. After a Brazilian (reminder: it’s V Day this weekend!) the only thing more important than tipping Olga is repairing and calming delicate skin. Dr. Roebuck’s Bubs & Bits is free of all petrochemicals, which means this lush, rich and aromatherapy-like scented cream does miracle work on irritable skin, naturally (read: we’re never visiting The Ten Spot without a jar waiting for us at home again!). Cracked, scaly heels, elbows or other parts suffering from the Canadian winter also hugely benefit from this stuff, and trust us, you’ll wonder how you ever survived a February without it before. And now, one lucky reader won’t have to! 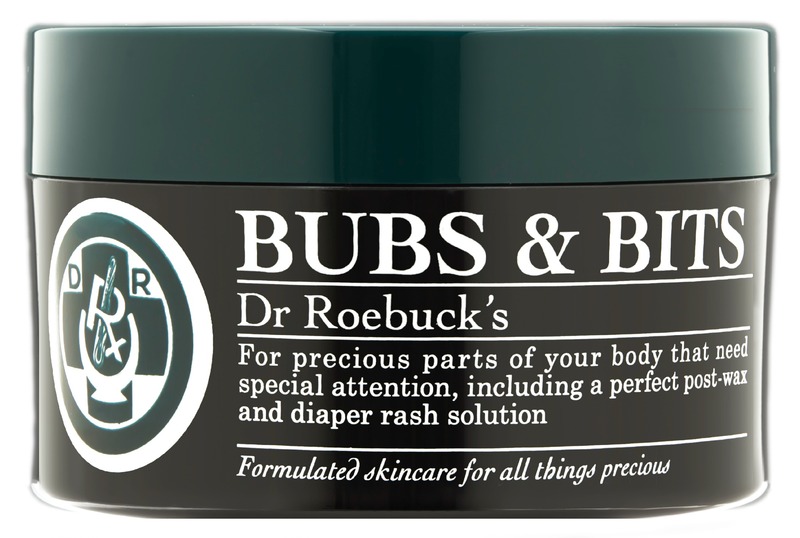 We’re going to send one full sized 100mL jar of Dr. Roebuck’s Bubs & Bits to one Canadian winner. To enter, tweet us and Dr. Roebuck’s why you need some precious skin relief. Contest ends Friday, February 13th at 4pm. * Contest open to Canadian residents only.